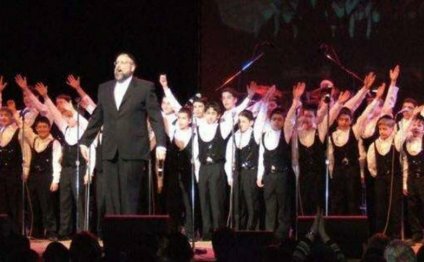 Formed in 1977 by Yerachmiel Begun, the Miami Boys Choir was part of a larger surge in popularity of Orthodox Jewish choral music. The use of an all-boy choir is related to the Orthodox Jewish prohibition on listening to a woman singing. A boy's choir affords Orthodox Jewish men a way to listen to a Soprano range without violating this prohibition. While the group was formed in Miami Beach, Florida, after releasing the first few albums, Begun moved the choir to New York. Although he retained the "Miami" in the name of the group, subsequent albums were released with boys primarily from the New York/New Jersey area. Over the years, the choir's imaging has changed with the times. Originally called the "Miami Choir Boys, " its name has alternated between "Miami Boys Choir" and "Yerachmiel Begun and the Miami Boys Choir." In addition, the album titles have slowly changed over time from just Hebrew titles (i.e., B'syata D'shamaya) to English and Hebrew together (e.g., Torah Today) and finally to the present format, which places "Miami" before the title (i.e., Miami Moshiach). Compared to mainstream artists, the choir has not had spectacular results in terms of sales. However, in the Jewish music world, they are recognized as a success story. An example is their album released in 2005, Miami Revach, which reportedly sold over 15, 000 copies in the first few weeks alone. Since very early on, the choir has released DVD and VHS versions of their live albums. In 2005, "Miami Revach" was released in High-definition video. B'Siyata Dishmaya 1984 Contains the first MBC hit song "B'Siyata Dishmaya"
Torah Today 1990 Contains the wedding hit "Od Yishoma" and "P'sach Libi"
Miami Experience 1 1991 The first of the "Miami Experience" albums featuring live concerts. It's Min Hashamayim 1993 Contains two of the most popular and lasting MBC songs; Ani Ma'amin and Lo Yisa Goy. Chanukah - Light up the Nights 1997 Featuring MBC hit Yaaleh V'yavoh. This album featured five new songs and then instrumental versions of those same songs. Bederech Hatorah - We Will Prevail 2001 An album that set the stage for a number of rising stars. It also has one song, Lo B'Ruach Hashem, that tops 7 minutes. Miami 25 - Past Present and Future 2002 Recording of the 25th anniversary concert including a number of prominent alumni. Miami Revach 2005 Sold over 15, 000 copies. Ultimate Miami - The Ultimate Collection 2010 A collection of the English songs over the years. The Miami Solo Album 2010 This album of non-Miami songs features Miami soloists: Shaul Elson, Yair Kenig, David Herskowitz, and Binyamin Ravina Abramowitz. Mi L'Hashem Eilai 2011 This album features one song from the new "Miami Israel" Choir directed by Miami Alumnus Menachem Klein. When the Siyum Calls 2012 A double CD album and music video released in honor of the 12th Siyum HaShas to take place at the MetLife Stadium on 1 August 2012. Miami in Concert 2013 Recorded performances from 2011-2013. Includes special bonus features including 'Miami at Pomegranate' and 'In the Beginning', showing how the Israeli choir began and were trained even long distance from the U.S.